Is El-Baradei the next Mousavi? Last month, there was a rally in Alexandria attended by some 4,000 Egyptians protesting the death of Khaleed Mohammed Saeed, allegedly at the hands of Egyptian police. Eye witness accounts say Saeed was dragged from the street by police to a building where he was then beaten to death. Egyptian police claim that the man died after ingesting drugs, but postmortem photos of Saeed tell a different tale. However, the story here is not the abuse of power by Egyptian police , but the fact that the rally was led by former IAEA chief Muhammad El Baradei. Such a high-profile and anti-establishment appearance by El-Baradei represents a big step forward for the man whom many want to run for president. The situation that exists in the run-up to the 2011 Egyptian presidential election is reminiscent of that which existed in Iran in 2009, when reformer Mir Hussein Mousavi ran against incumbent Mahmoud Ahmadinejad, and it might be useful to compare the two. To start, Mir Hussein Mousavi and Muhammad El-Baradei are sort of similar in appearance. Bespectacled and quiet, at first glance the men look more at home on a university campus. Both men were born in 1942, making them 68 years old, and each are considered to be “reformers” in countries that seem to be democracies in name only. Both men have strong appeal with the urban and educated. After that, it is less clear how much these men share both in terms of personal style and political will. Mr. El Baradei’s position in the Egyptian political scene is a relatively new phenomenon. After serving for years with the IAEA, he had hoped to retire to a quiet life in south of France, but he returned to Egypt to find that he was the new hope for a generation of Egyptians who have grown ever more tired of the regime of Egypt’s current president, Hosni Mubarak. Mubarak took power after the assassination of Anwar Sadat in 1981. Immediately after taking office, Mubarak instituted “emergency law”, which gives the government sweeping powers to enforce security. But nearly 30 years have passed since those measures were taken and still the rules of emergency law remain in effect. Over that time, the government intelligence service has vigilantly snuffed out dissent, and Mubarak’s rule has be uninterrupted. That is, until now. 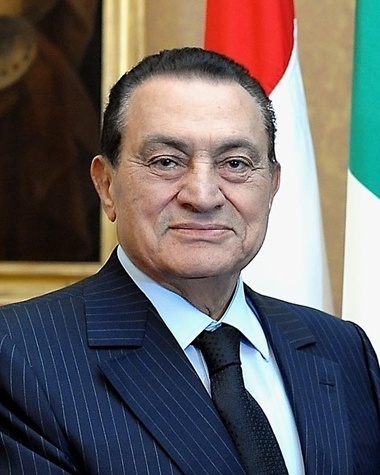 Hosni Mubarak, 82 years old, is believed to be of weak health, and it is unclear whether he will “run” for reelection in 2011 (It is speculated that his son, Gamal, is the chosen successor). If Mubarak does indeed retire, Egypt could have its first new leader in thirty years. Even in the best of times, succession in any state is a tricky proposition and is never a given. In the United States, every four to eight years, power is transferred from incumbent to elected in an orderly and predictable fashion that is steeped in tradition. This is true for many developed democracies, and it means that while the power of one regime chosen by the people is handed over to the next regime chosen by the people, the rights and values of the country will remain the same. Egyptians are not used to this. Since 1954, Egypt has had only 3 leaders: Gemal Abdul Nasr, Anwar Sadat, and Hosni Mubarak. Three leaders in 56 years. Nasr died in office and Sadat was assassinated by Islamic extremists. It’s unclear how Mubarak’s time in office will come to an end. Egypt’s propensity for long-serving leaders dates back before the Ottoman Empire, to the Pharaohs. It could be argued that Egyptian society is not accustomed to regularly choosing new leaders and therefore might not be ready for it, but Egypt has been a faux democracy for nearly sixty years and its people are clearly familiar with it’s tenets, including an active civil society and an independent judiciary. Iran is in a similar situation. For centuries, it was ruled by kings (shahs) and the people had little power. Iran flirted with a full-fledged democracy in the 1950’s, yet was thwarted by the nascent CIA in 1953, when Kermit Roosevelt orchestrated a coup allowing Shah Pahlavi to return to power. With the help of the United States, the Shah ruled with an iron fist until 1979. That year, the Islamic revolution swept the nation and the Ayatollah Khomeini took charge. In the 30-plus years since the Islamic Revolution, the military and intelligence establishment exercised its control of the country. Today, elections (like the presidential election of 2009) are a predetermined farce. Sound familiar? In both Iran and Egypt, the elites maintain a stranglehold on power, information, and decision-making. In both countries, voter apathy remains high and the potential for change remains low. Still, few people predicted the massive outpouring of protests in response to Iran’s elections last year. And it is not outside the realm of possibility that the same could happen in Egypt. The protests in Iran came from mostly dissatisfied educated urban elite, whose values were not necessarily shared with the conservative citizenry of the more rural parts of the country. In Egypt, there is certainly a large group of “educated urban elites” that would like to see a change in leadership, but there is also the discontent of the popular Muslim Brotherhood to be considered. The biggest difference between Muhammad el-Baradei and Mir Hussein Mousavi is in there ability to credibly criticize the regime in power. 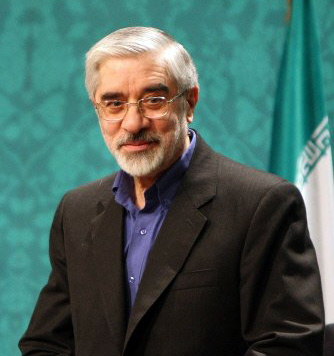 Mousavi got in on the ground floor of the revolution, and is one of the Islamic Republic’s founding fathers. Mousavi was very close with Khomeini, and this background gives his opinions and criticisms substantial weight while making it very difficult for the regime to try to silence him. El-Baradei, on the other hand, is a complete outsider. He spent most of his career outside of Egypt, working for the United Nations. He is neither a military man, nor an Islamist. The biggest weapons that he brings to the table is his international name recognition and his potential as a reformer. In Egypt, this will not be enough. Any presidential candidate needs the approval of parliament to run, which is controlled by the Mubarak clique. So it is unlikely that his name would ever appear on the ballot. Another difference is in their respective levels of international support. The West, particularly the United States, wished desperately for the protests in Iran to morph into a revolution that would have swept both Khamenei and Ahmedinejad out of power. This is not the case with Egypt. Egypt is a powerful and populous Arab nation that has been an ally to the United States for decades. It is also one of the few Muslim nations to recognize Israel and sign peace with the Jewish State. It is easy to understand why both nations would want to ensure continuity in Egypt, and the best way to do that is not the inconvenient and unpredictable use of the ballot box, but through predetermined succession. In this regard, the United States, Israel, and the Egyptian military establishment are on the same page, as neither would like to see a popular Islamist movement take power that might threaten their interests and prior agreements. Still, as the aftermath of the 2009 Iranian parliamentary elections have shown us, succession, especially in counties with a deeply dissatisfied citizenry, does not always go as planned. The protests that took place in Iran have yet to precipitate any major change in leadership, but that hand has yet to fully play itself out. The kinetic energy of such massive displays of civil disobedience do not simply evaporate into the air like a pipe blowing off steam. Instead, these actions could have long-term effects that will ripple through Persian society for generations. Where it all will lead is unclear, but Iran’s protests will likely be reflected upon in the future as the catalyst of something major that has yet to occur. Is a similar situation possible in Egypt next November? Probably not, but one never knows. The Muslim Brotherhood, Egypt’s most significant opposition group, is lying low for the time being. 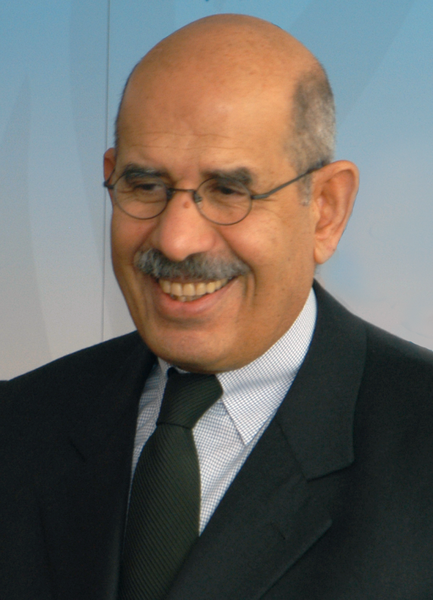 The group is rumored to be in support of El-Baradei’s candidacy, but their real motives are uncertain, as they would likely support any alternative to the current regime. They are a wild card in all of this. For El-Baradei, the political, military, and intelligence establishment- as well as the United States and Israel- are against him. With such internal and external hurdles in the way, it is unlikely that his candidacy, if he so chooses to run, would inspire anything other than intense public debate. However, in Egypt as in Iran, perhaps for now that is enough.